This is the most recent information about Burt Bacharach that has been submitted to amIright. 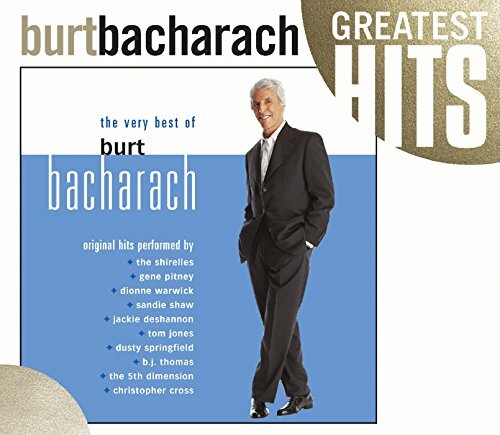 If we have more information about Burt Bacharach, then we provide a link to the section where it appears (the actual page whenever possible). Q: Who sings whilst strapped to a car roof? "The Word Is A Circle" originally "The World Is A Circle"
"The World Is A Circe" originally "The World Is A Circle"
Circe = temptress in "The Odyssey"
"No Bone Remembers My Name" originally "No One Remembers My Name"
"No One Remembers My Namer" originally "No One Remembers My Name"
"Comet Touch The Sun" originally "Come Touch The Sun"
Some comets have crashed into the Sun. "Come Touch The Suni" originally "Come Touch The Sun"
Suni is a type of small antelope. "No One Remembers My Fame" originally "No One Remembers My Name"
"No One Remember My Fame" originally "No One Remember My Name"
People do seem to forget he wrote many songs. "No Ore Remembers My Name" originally "No One Remembers My Name"
Naturally -- ores have no memory. "No Ode Remembers My Name" originally "No One Remembers My Name"
Naturally -- odes have no memory. "No One Remembers My Game" originally "No One Remembers My Name"
"Do You Know the Way to San Jose?" "Anyone Know Why Plane Went Astray?" Robert D. Arndt Jr.
"What the World Needs Now is Love" "What the US Needs Now is Drugs" Robert D. Arndt Jr.
Deu ferida no meu pe. "I'll Never Fall in Love Again "
"Saturday Sun, Shine!" originally "Saturday Sunshine"
Burt Rack A Back originally "Burt Bacharach"